First impressions can make or break a deal especially in the entertainment business, that’s why it is so important to be yourself and look your best when auditioning for a role. Unless otherwise stipulated, looking as close to yourself as possible helps with those looking to hire you, see what they are actually working with. It is then, my job, as a makeup artist, to enhance that, and make it real for the shoot day. Makeup was initially designed to enhance your natural features and accentuate quality beauty. 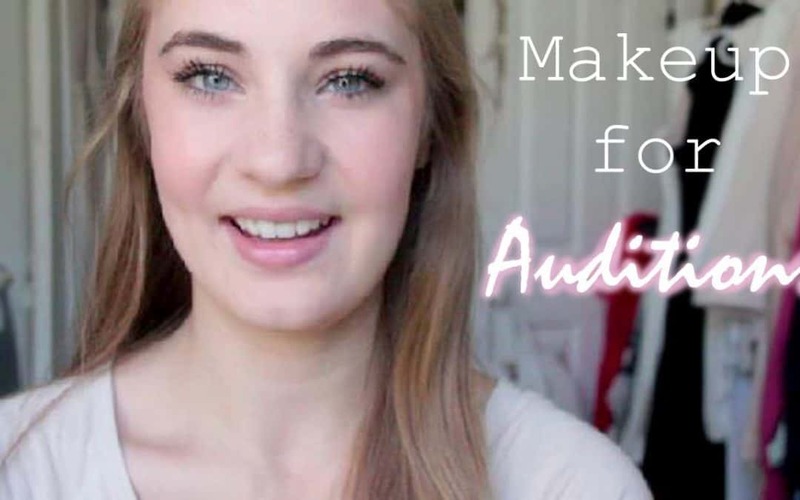 Here are a few helpful tips to get you through the audition looking your best! A little foundation helps to even out the skin tone and create a nice canvas. It also aides in your skin care regime, acting as a barrier for pollutanst and damaging sun rays. Blend up into the hairline down to the neck and set with powder. Add a little blush, coat of mascara on the lashes and a clear, shimmer gloss to lips and you’ll look like you were just getting a healthy dose of vitamin D.
Still looking a little asleep and pale? Grab that bronzer and apply with a powder brush right where the sun would naturally kiss the face, forehead, nose, cheeks, chin and a slight dusting over the eyes, jaw line, neck and chest. Guys, you can achieve this with a powder a shade darker than your skin. Want to make your eyes pop? Avoid any grease pencils on the lower and upper lash line, these tend to melt with the natural oils of your skin and smear, making you look like a raccoon. Instead, use a thin angled lash brush and dip into a black or brown shadow. Apply from the outer edges to about 1/4 inch of the way in, just outside the iris. This gives the illusion of a thicker lash line. Add a skin toned liner on the inside of the lower lash line and WOW, eyes are the focal point! Soft and inviting! Define your cheeks using a nice rose color on the apples of your cheeks Contour just below the apple following the bone up to the ear. Top it off with a light shimmer just above the apple and Viola! Fresh, youthful yet, sophisticated! Makeup was initially designed to enhance your natural features and accentuate quality beauty so keep it simple and smart. Have fun and good luck! Get more information and your own “Makeup Quicktips” Video on sale now @ www.StylesByJenece.Com, Denver’s Premier source for makeup, hair and wardrobe!